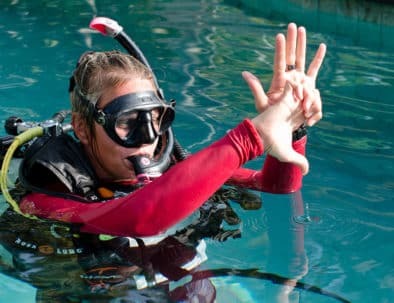 Our 3 Days 3 Nights PADI Learn & Stay Package Discover Scuba Diving Program is the best all inclusive option for those who wish to try diving while on vacation in Nusa Lembongan, Bali. This package includes all your meals, accommodation, transfers, PADI DSD booklet, diving equipment plus 2 open water dives. 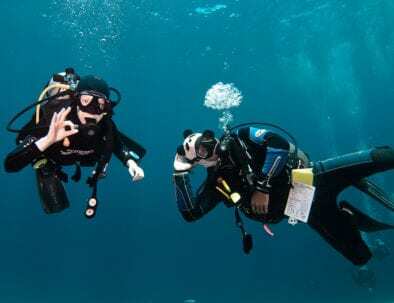 See what the fuss is all about, try diving today! Day 1 – Transfer from Bali to Nusa Ceningan with the 13:00 boat, welcome drink and orientation, DSD Briefing and Pool session at 3pm, dinner. Day 2 – Breakfast, 2 Open Water dives, lunch, dinner.